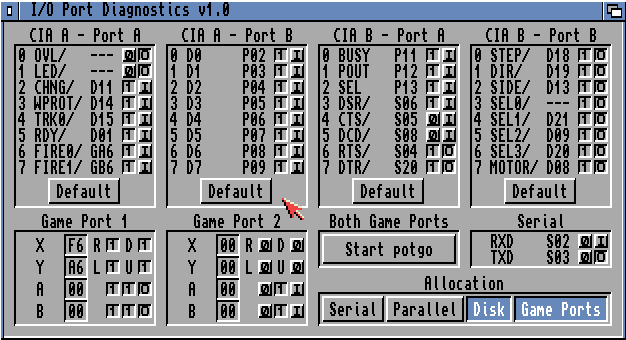 PortDiag is generally used for low-level hardware watching and modifying. It has support for all the bits of the four CIA ports, digital and analog parts of the game ports, serial port TXD and RXD signals and selective system allocation of this hardware. Hardware issues and images by the courtesy of Pavel "Pavouk" Ruzicka.